EPW048666 ENGLAND (1935). Farmland at Carrington's Farm, Smalley, 1935. This image has been produced from a damaged negative. 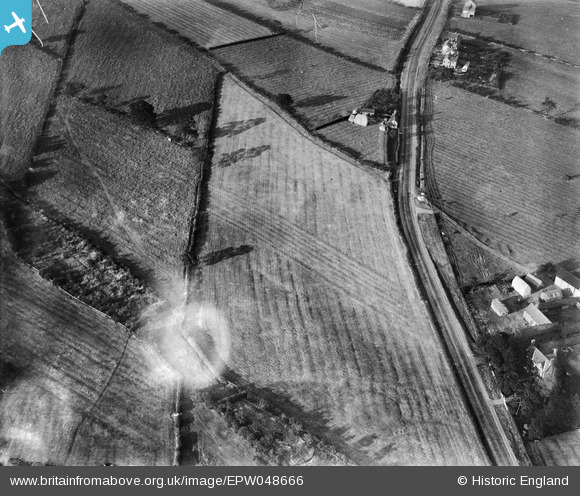 Pennawd [EPW048666] Farmland at Carrington's Farm, Smalley, 1935. This image has been produced from a damaged negative. It's great to get a location for this group of images, given the dramatic post-WWII changes in the area. We'll update the catalogue and post the new data here in due course. Higher ground on left of picture. I think EPW048664 EPW048665 (EPW048666) EPW048667 are of same area.